SciEngines current standard hardware platform is the RIVYERA architecture. As a successor to the COPACOBANA series, the RIVYERA’s different models have the advantage of increased logic-cell count, memory, bandwidth and its cutting edge Application Programming Interface. While still providing immense energy- and space-efficiency, most systems can also be clustered to further enhance performance to data-center levels. Please see below descriptions for detailed information on the different products. Alternatively, please feel free to contact us for further information on this exciting technology or if you desire a quote to work with your own reconfigurable supercomputer as early as possible. Also have a look at our Legacy Products that paved our way as pioneers in FPGA-based computing. Within a 4U chassis and using 128 Xilinx Spartan–6 LX150 FPGAs in its standard configuration, this RIVYERA provides all the performance needed for extreme but cost-efficient speedups of your applications or even new types of analysis and competitive advantage. 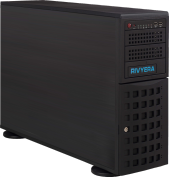 RIVYERA S6-LX150 DDS is the newest FPGA-computer to deploy supercomputing to your desktop. It can be equipped with up to 4 RIVYERA FPGA-cards and one or multiple I/O cables connect the FPGA-accelerators to an in-system off–the–shelf server based on an eATX mainboard. The low energy-consumption and small form-factor makes the RIVYERA DDS a perfect choice for individuals and workgroups. Code is 1:1 portable from RIVYERA DDS to any machine of the RIVYERA architecture family. 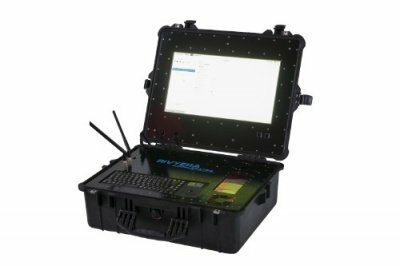 Contained within a highly durable casing, this RIVYERA model is intended for tactical scenarios making use of its transportability. While not intended as a man-pack, supercomputing performance can easily be deployed at the location of interest or within vehicles. Several ports allow connection to antennas and SDRs. Same application-code as the regular RIVYERA models as well as clustering is fully supported.